AND FINALLY: Was it worth the effort? Whilst technically just terminal changes, British Airways is very much on the move at Heathrow. Its 13 daily flights to Barcelona and Madrid will be jumping from to T3 to T5. In the other direction Bucharest, Budapest, Larnaca, Prague and Warsaw move from T5 to T3. The airline has a dedicated check-in area at Terminal 3 as well as a luxurious 550-seat lounge complex and spa facility for premium customers to use before their flights. Ryanair has dropped Luton and Stansted to what it calls Barcelona (Girona) for the winter at the same time that Monarch has introduced direct flights from Gatwick to the main Barcelona airport, El Prat. ANA will finally put the Boeing 787 Dreamliner into commercial service on Wednesday (26 October) with a charity flight from Narita Airport, 40 miles outside Tokyo, to Hong Kong. The original schedule called for the plane to be introduced just before the Beijing Olympics. However it can be justifiably called the first 21st century passenger aircraft, competing for the title the Airbus A380 with a heritage that dates back to the 1990s and lacking some of the advanced concepts of the new plane. The winning bid for two Business Class seats aboard the maiden flight was for US$32,000. The aircraft is expected to take off at 12.20 local time for the 4hrs 30mins flight leaving plenty of daylight available for what is bound to be an emotional arrival in Hong Kong. 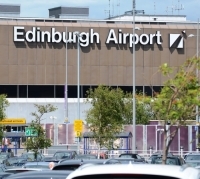 BAA has acknowledged that its Edinburgh Airport operation is for sale following a Competition Commission order to sell Stansted (now subject to legal delays) and either Edinburgh or Glasgow. Whilst this surprised many in the industry, it seemed to AERBT that the Scottish capital would be the one offered on the market, easier to dispose of than its rival, and short-term at least, generating a far better price. 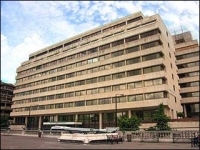 London has lost the luxury Howard Hotel, a Swissotel owned property on the Embankment close by The Savoy. It ultimately has the same proprietor, the Fairmont Group. No explanation has been given by the owners, who have spent a considerable sum on the property getting it ready for the Olympics. AERBT has to admit that the first it was made aware of the hotels demise was an announcement by Pro Auction of Bath declaring an auction of the entire contents this coming Tuesday/Wednesday 25/25 October 2011. Everything will go under the hammer from the 189 luxury bedroom suites to the designer inspired guest areas, including the bar, foyer areas, library and the fully fitted award winning restaurant. Pegasus Airlines, which claims to be Turkey’s leading low-cost airline, is now welcoming passengers to Stansted as the airport’s new “welcome site” partner site. 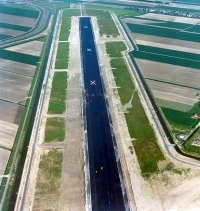 Pegasus chose this high impact site due to its substantial reach, which is visible to 100% of passengers who travel to the airport by car or bus. Each year 19m passengers fly through Stansted and 69% of these arrive via car, taxi or bus. 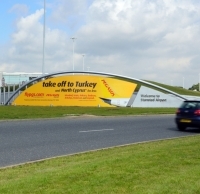 Pegasus Airlines, who are promoting flights to Turkey and Northern Cyprus, will be very visible until at least July 2012. Parliament is looking for a special aviation advisor for its Transport Select Committee. An important condition is quick accessibility to London but clearly a very deep knowledge of all the nuances and aspects of commercial aviation is necessary. The requirements include having a profound understanding of public policy issues relating to aviation and good contacts with the main players in the industry. Applicants should be prepared to provide expert advice to committee members on aviation matters on request, both in writing and in oral presentations. 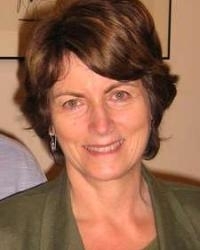 Advice may be requested generally (for example, to help explain the economic regulation of airports) or in relation to a specific committee inquiry (eg, to read and comment on written evidence, suggest witnesses for oral evidence and help with the preparation of briefing notes and draft reports). 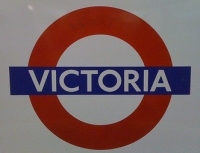 Gatwick Airport users, and commuters in general, at Victoria Station will be pleased to learn that the work on the three escalators which descend to the Victoria Line platforms has been completed. They are reputed to be the second most-used escalators in the world with 21m customers hopping on and off each year. 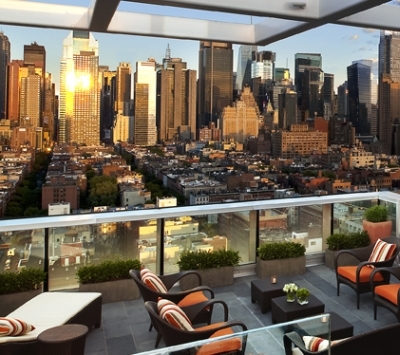 Figures published by Hotels.com Hotel Price Index for the first six months of the year show that New York is still the favourite travel destination for UK travellers despite the average hotel room price in the city hitting £160. Of course you can stay for a lot less, and a great deal more. With that in mind, and World Travel Market starting Monday 7 November, AERBT thought it important to take a look at Big Apple, Contributing Editor Jane Stanbury offering the following and Editor in Chief Malcolm Ginsberg himself finding his way across the Atlantic just before Christmas for a 2012 New York preview that readers will see early next year. “Live like a local” says the lift notice, wise words as exploring the city as an alternative tourist has to be one of the best ways to experience New York. Situated at 11th Avenue and 48th Street, this former printing press is one of the latest additions to New York’s hip hotels. Part of the expanding Kimpton Group which features boutique hotels in 23 cities across the USA, Kimpton has applied their re-use policy and stayed loyal to its print past. Spa treatments are named after type fonts – and the hotel logo is “Make your Mark”. Its hip roof bar is known as the Press Lounge and has quite possibly one of the best views in Manhattan with the Hudson to the left and Times Square to the right. Print Restaurant serves modern American cuisine, and Felip the manager takes the legendary New York service standards to a different level as he actually seems to care about whether you are having a good time. Rooms by NY standards are expansive with two double beds, a couch and a bathroom with large wet room shower the norm. Swinging a cat is perfectly possible unlike many of the central mid-town trendy hotels. Eleventh Avenue is better known for its car dealerships that extend up from Hells Kitchen, but like elsewhere on the New York skyline the landscape is changing. Eleventh Avenue is beginning to satisfy the growing trend for modern, luxury apartments. Enticing ultra high net-worths to this neighbourhood these desirable abodes feature private gyms, cinemas available only to occupants and shuttle buses to the heart of Manhattan, or down to Wall Street – the nearest subway is a three-block walk away. The post-industrial landscape is gradually being populated by trendy galleries, stylish eateries and chic bars. Ink stands alone however as the coolest hotel on the West side. Just behind the hotel is Manhattan’s Cruise Terminal which welcomes a whole host of cruise liners, heading to and from the Caribbean, or further afield to Europe. The hotel is often busy with guests who are choosing to extend their cruise trip and with media agency Ogilvy just opposite a mixed clientele creates a lively atmosphere. Ink 48 is also the perfect place to experience New York like a local as the vicinity still belongs to New Yorkers. 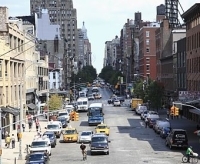 Visitors can soak up the Sunday Brunch atmosphere offered by nearby 9th Avenue. Visit Renaissance at 9th and 52nd where the slightly shabby informal diner serves great American brunches from a vast eight-page menu as cosmopolitan as the clientele. Alternatively head to 24-hour Moonstruck at 9th and 23rd where the 1930s décor transports you to times past as you tuck into corn beef hash or Americanised Italian standards whilst sipping a martini and making the most of the free wi-fi. If you don’t like what you see on the menu, then do what the locals do and customise your meal, anything is pretty much possible. Moonstruck is also a great place from which to begin a walk along New York’s latest attraction – The High Line which runs from Gansevoort Street in the Meat-packing District to West 34th Street, between 10th and 11th Avenues. 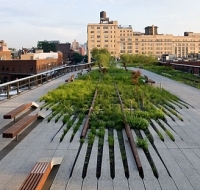 The High Line was built in the 1930s and raised freight traffic 30 feet in the air. Trains stopped running in 1980 and Friends of the High Line, a community-based non-profit group, formed in 1999 when the historic structure was under threat of demolition. Working in partnership with the City of New York and landscape architects James Corner Field Operations, with architects Diller Scofidio + Renfro, they created the raised park. The walkway features talking water fountains extolling the virtue of re-hydration, a selection of foliage, grasses and plants and seating areas framed by stainless steel, and modern lighting. Whilst those living in the apartments at eye level are now struggling for privacy, for many New Yorkers and visitors this beautiful walk brings a little calm and peace to the bustle of the city. At the end of the High Line jump on a 10 bus to the Lincoln Centre which stretches across 16.3 acres on Manhattan and offers the full range of culture. Attend a magnificent concert from the celebrated New York Philharmonic, take in the sublime music of the Met Opera or take advantage of the expanding offering of free concerts promoted at the David Rubenstein building. October saw a weekly performance by a number of musicians from Mali, including Sidi Touré, Ali Farka Touré’s heir apparent, and exemplifies the centre’s aims to bring an international flavour and cultural celebration to the audiences. No NY trip is complete without a trip to the dinner and movies. 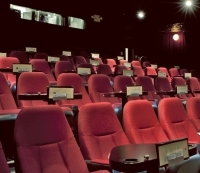 The Nitehawk Theatre has evolved the concept and features a system of seats arranged in pairs with tables enabling you to eat and watch a movie at the same time. Michelin-starred Saul Bolton heads the menu. Food ranges from meaty fish tacos to concession inspired staples such as popcorn tossed in Parmesan. Brunch, the classic NY weekend meal, is also available with a movie at the weekends. As yet Nitehawk does not hold an alcohol licence but this in no way distracts from this unique experience. Slurping is allowed, talking is not. If this does not appeal take in a film at a Clearview cinema which is putting the humanity back into movie going. Polite service and an option to donate your ticket change to that week’s preferred charity, a human being who comes out front to welcome you and politely request you to switch off mobiles (none rang whilst we watched our film) and on departure ushers thank you for attending and offer you a goodbye candy of one sort or another. It is a far cry from the anonymous multiplexes occupying Europe. Having lived in NY for over two years and not having visited for ten I was apprehensive post 9/11 that the magic, vibrancy and joy that produces one of the best cities on the planet would have gone. Not the case at all, living like a local is still a possibility whether you are a visitor, or an ex-neighbourhood resident taking it all in again. Now by all accounts Ms Greening is a very bright lady but one would have thought before moving into Putney she might have noticed that there was an airport on her doorstep. Unlike Walsh, who also lives under the Heathrow flight path, she could have chosen somewhere else as her main place of residence. The moral of the story is don’t buy a property near Heathrow and then complain about the noise! For the most part there has been no public utterances on the appointment from the transport industry, just a buzz of concern. No statements of support. That is except for the Airport Operators Association who welcomed her appointment. “In her previous capacity she was always open to discussion, and I look forward to an ongoing dialogue with her in her new role as Transport Secretary,” said Darren Caplan, Chief Executive. It has been a busy week for the new boss of Great Minster House. Appointed on the previous Friday evening, by last Wednesday she was appearing before the House of Commons Transport Select Committee and giving a professional, if nervous, performance in front of her MP colleagues. In one sense Ms Greening was lucky in that the current Chair, Mrs Louise Ellman, takes a much quieter approach than her fearsome predecessor, the late Gwyneth Dunwoody. On the four aspects of transport – aviation, ferries, rail and road – Mrs Ellman and her colleagues were for the most part gentle, with the new Minister putting on a defensive display booting some awkward questions into touch when the pressure got too much. She is supposed to be something of an expert on the London Underground and also knows from her Treasury days how each department is funded, and also in contradiction, taxation, in this case APD. It has been a busy week for Ms Greening. On Wednesday she was launching herself to watching industries with the Select Committee. For Thursday the task was to take final submissions regarding the Government’s aviation review due in the Spring “A sustainable framework for UK aviation” also known as the scoping document. Whilst clearly she will not be seeing the detailed submissions at this stage (and there are some complex documents) these appear to have come in thick and fast. Even AERBT made a proposal (suggesting Northolt as an interim London airports' measure). The airlines of course have had plenty to say. British Airways pointed out that there are now 21 emerging market destinations with daily flights from other European hubs that are not served from Heathrow. As a result UK passengers are increasingly being forced to transfer through alternative hubs such as Paris, Frankfurt and Amsterdam – effectively outsourcing the UK’s air transport needs. Andrew Strong, Managing Director, Flybe, told a group of more than 50 MPs that the Government needs to reform Air Passenger Duty (something, as mentioned, that Ms Greening knows all about from her days in the Treasury. Has she something up her sleeve for the budget?). Ms Greening has arrived. Since Alistair Darling’s productive four-year tenure (May 2002-May 2006) there have been five (Alexander, Kelly, Hoon, Adonis, Hammond) holders of this vital Office of State. It is tradition to wish a new minister well, as the airport people have done and AERBT follows in that custom. But there are very, very big concerns within the industry. It could be that Ms Greening will take credit from her Treasury time if there is a loosening of APD in November. Clearly a Cabinet position was too temping a post to turn down, but has she really the zest for Transport? There is seemingly nothing positive from the appointment. Worrying times. It may be one of the slowest events ever to take place at the historic Goodwood motor racing circuit, but The Big Pull is set to bring rapid rewards to Aerobility, the British charity that facilitates light aviation for disabled and profoundly ill adults and children. Teams of air traffic controllers and their managers aim to raise a remarkable £100,000 towards the acquisition of a Piper Archer aircraft for the charity which would be equipped with specific features to support disabled fliers. The plan is to pull a vintage Second World War aircraft on a course down the main straight at Goodwood on Sunday 3 June 2012, the highlight of a charity weekend. The previous evening there will be a gala dinner and auction at Goodwood House. 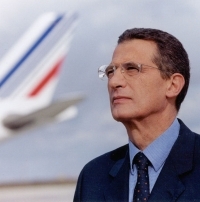 Pierre-Henri Gourgeon has stepped down as CEO of Air France KLM Group and CEO of Air France (AF) following a board meeting in Paris last week. He had been in charge since January 2009. Former AF Chairman and CEO, Jean Cyril Spinetta, now 70, and past KLM President and CEO, Leo Van Wijk, were reappointed as Chairman and CEO of AF KLM Group and Group Deputy CEO, respectively. They will be in charge of its “strategic coordination,” AF said. The two men masterminded Europe’s first merger between two flag carriers in 2004. Alexandre de Juniac, who previously was Chief of Staff to the former French Finance Minister, Christine Lagarde, until her recent appointment to run the International Monetary Fund, replaces Gourgeon as AF Chairman and CEO. Before her government appointment she was at Thales. The management reshuffle reflects board and analyst concerns over the poor financial performance of the group – particularly AF – since Gourgeon took over. He has had to contend with a number of problems including the fatal AF A330 flight 447 crash over the Atlantic in June 2009, high fuel prices, strikes and disruptions. London Stock Exchange (LSE) listed Flybe will offer 141 routes next summer with up to 2,938 flights a week including the two new summer routes previously announced from Manchester to Knock in Western Ireland and Newquay in Cornwall. Details of the airline’s summer services to regional France from its Exeter headquarters will be announced over the next few weeks. The airline’s share price is currently around 72p, well down from its LSE opening at 295p, but still above the 63p it plummeted to in September following Chairman and Chief Executive Jim French’s downward profit revision from £36m to £24m. The former Mayor of London, Ken Livingstone, who to his credit backed the Olympic bid, but was strongly against London City Airport, seems to have little knowledge of the tourism industry and its contribution to the country's economy. Last week he told BBC Radio 4, as reported by the Evening Standard, that Britain must "live within" its airport capacity and it is important to "reduce the amount of holiday traffic," criticism which is hardly likely to gain him votes in next year’s Mayoral election. He attacked "people who … are quite well-off taking more and more short haul holidays. No one in their right minds would get a plane to Paris or Brussels," he said. Last year 1.6m people flew between Paris and London and just over half a million connected via Brussels. 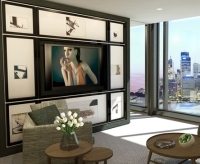 The Darling Hotel and Spa Sydney, highlighted by AERBT in July 2011, will officially open its doors on Friday 28 October. The 171-room boutique property is the first 5-star new hotel to be built in the city since the 2000 Olympic Games. It is a key element in the £500m refurbishment and extension of The Star complex, inland from the Harbour Bridge, transforming it into a one-of-a-kind entertainment destination and a strong addition to Sydney’s overall leisure landscape. Outstanding features of the property are the top floors dedicated to the ultimate in luxury, featuring two-bedroom penthouse suites. The suites, uniquely designed by renowned LA designer, Lawrence Lee, feature floor-to-ceiling Sydney harbour views, bespoke furniture, fireplaces, media rooms, butler service and a private VIP arrival. There are also nine “Stellar” suites and eight “Adored” suites, the entry via a private foyer which opens onto a spacious living room with stunning views and flows through to an intimate dining area. Doors lead to a king-size bedroom with walk-in wardrobe, a fully appointed marble bathroom and a separate powder room for guests. Claimed to be the UK’s fastest growing hotel brand, Travelodge has opened its 486th hotel, a stone’s throw from the Bank of England. 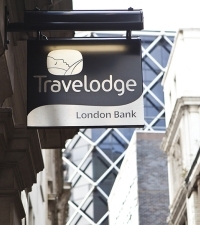 The London Bank Travelodge, a 75-room grade II listed property, represents an investment of £7.5m and looks like providing one of the most successful new hotel openings in the company’s 26-year history. The majority of reservations have come from City staff for which the budget hotel product is a new concept. Many are booking ahead in preparation of the Christmas party season. London’s Gatwick Airport, which has seen considerable investment in its fabric since the Global Infrastructure take-over just two years ago, is to be further enhanced with a £50m investment by Virgin Atlantic with the upgrading of its Boeing 747 fleet. The retrofit process will begin in May 2012 and will see a rigorous schedule that aims to be completed by October 2012. The Manchester-based 747s will also benefit at the same time. 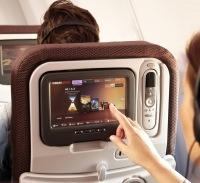 Passengers travelling to destinations including Orlando, the Caribbean and Las Vegas will enjoy new seats in Premium Economy and Economy, cutting edge IFE technology and a fresh vibrant feel throughout all cabins. This from a friend who is a regular traveller and had spent some time in the Duty Free at Changi Singapore. "I bought my wife a waterproof, shockproof, anti-magnetic, unbreakable watch. 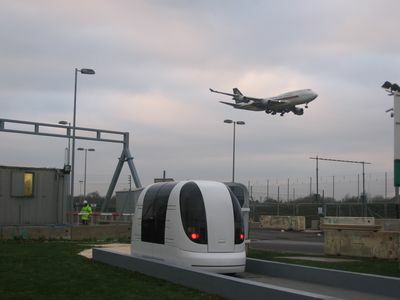 With BAA Heathrow now publicly looking for a sponsor AERBT thought that it might be a good idea to test the new Heathrow T5 business parking pods. We mentioned them last week and now having tried the system find it even easier to use than the short-term parking sitting between the terminal and Sofitel. No going up the ramp or getting lost around the hotel. It’s cheaper too. Each Dr Who type pod/module parks in its own little platform/station and a voice tells you what to do in a choice of several languages. It is a very comfortable electrically driven ride in each direction. Tall people should watch their head and there is an escape route if something goes wrong. Plenty of room for cases and you can watch the planes land and take off during your five-minute journey. No queuing either. There are pods galore and plenty of space for the sponsor's brand or message. As well as reducing the time it takes business passengers to move between Heathrow's Terminal 5 and car parks by 60%, the eco friendly pods use 70% less energy than a car. They are expected to eliminate 50,000 bus journeys on the roads around Heathrow each year. 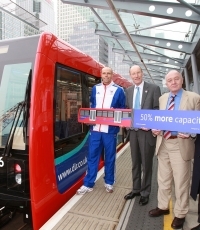 The seven-figure, three-year sponsorship package will start in January 2012 and includes sponsorship of the exteriors of the pod stations, directional signage within the car parks and terminal as well as exterior and interior spaces in the pods. The sponsor will also be able to take advantage of the digital video screens within the vehicles which will play during the journey to deliver an immersive advertising experience. The Royal Aeronautical Society’s Greener by Design Annual Conference at its London Park Lane headquarters provided a platform last week for the issues surrounding aviation and climate change. However it was a British company that was not part of the formal presentation that stole the show with a fascinating mounted display supported by some highly qualified technocrats. It is estimated that in five years’ time oil production might not be able to keep up with the world demand. That is one of the reasons for the rush to expand the use of alternative aviation fuels. Air Fuel Synthesis Ltd (AFS) is developing a system that takes the carbon dioxide from air, mixes it with hydrogen extracted from water and makes liquid fuel for air transport. A prototype unit is currently being built at Loughborough which is expected to be unveiled publicly early in the New Year. Scientists from AFS are supervising a team of chemical engineering experts from the Centre for Processing Innovation (CPI) in Teesside to prove the technology with a manufacturing process, which has long been proven in a laboratory environment. 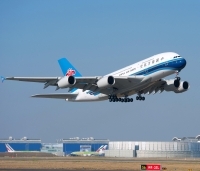 Rolls-Royce was the engine supplier as China Southern Airlines, the Guangzhou-based world’s third largest air carrier, took delivery of the first of five Airbus A380s it has on order. Rolls-Royce was quick to point out that its engine, the Trent 900, has been selected by 11 out of 16 operators globally, seven out of eight operators in Asia and has been the choice of all A380 customers who have made their engine selection decision this year. The plane will be operated initially on domestic routes between the major Chinese cities of Beijing, Shanghai and Guangzhou. At a ceremony in Toulouse, China Southern unveiled its A380 cabin, featuring a total of 506 seats in a three-class configuration, including eight luxury First Class suites, 70 lie-flat Business Class seats and 428 Economy Class seats. A German court last week banned night flights at Frankfurt Airport after complaints from residents, dealing a blow to cargo and passenger operations as Germany's largest airport opened its forth runway. The administrative supreme court of Hesse said that the ban would start on 30 October with the new winter flight schedule, drawing consternation from German airlines at the lack of time in which to alter internationally agreed flight schedules. "To implement such a ban at short notice will have significant economic consequences," a spokesman for Frankfurt-based Lufthansa said. For the future Londoners and visitors to the city never need to run for a bus again with the introduction last week of a new up-to-the-minute information service that can be accessed online, on a smart phone, and via text message. 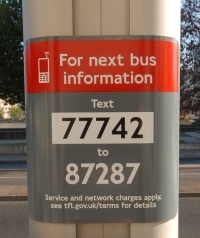 The new service provides live bus information for all 19,500 bus stops in the capital. Whether you are at home wondering it you have time to finish that cup of coffee, or need to maximise time in the office or between meetings, the time wasted, and getting cold, at a bus stop, should be now a thing of the past. Director of Digital London, Kulveer Ranger, said: "Over six million bus journeys are made every day in London and this fantastic application of bus data will now enable people, wherever they are, whatever they are doing, to at their fingertips have the power to know exactly when their bus will reach any one of the capital's 19,500 bus stops they want to use, at any time of day or night. 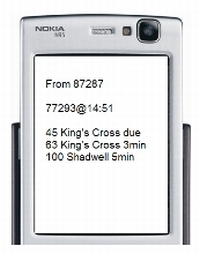 In a move that in time no doubt will become the standard norm, Virgin Trains has introduced new mobile phone-friendly versions of its popular pocket timetables and route maps. 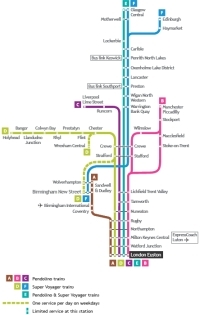 It looks like paper timetables and route maps are for the most part on their way out. To access the Virgin Trains pocket timetables, simply download a QR (Quick Response) reader, free of charge, from either an Android, BlackBerry or iPhone app store. Once that has been done, all that is needed is to scan the QR code on any one of the Virgin Trains posters at stations and the requested timetable will load onto the phone. 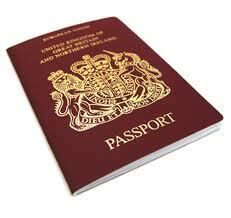 British passport owners needing to renew their passport can get a new document in just ten days if they apply now and beat the New Year rush, the Identity and Passport Service (IPS) reports. From now until Christmas is low season for passport applications and anyone needing a straightforward renewal of their existing passport can expect a rapid service. 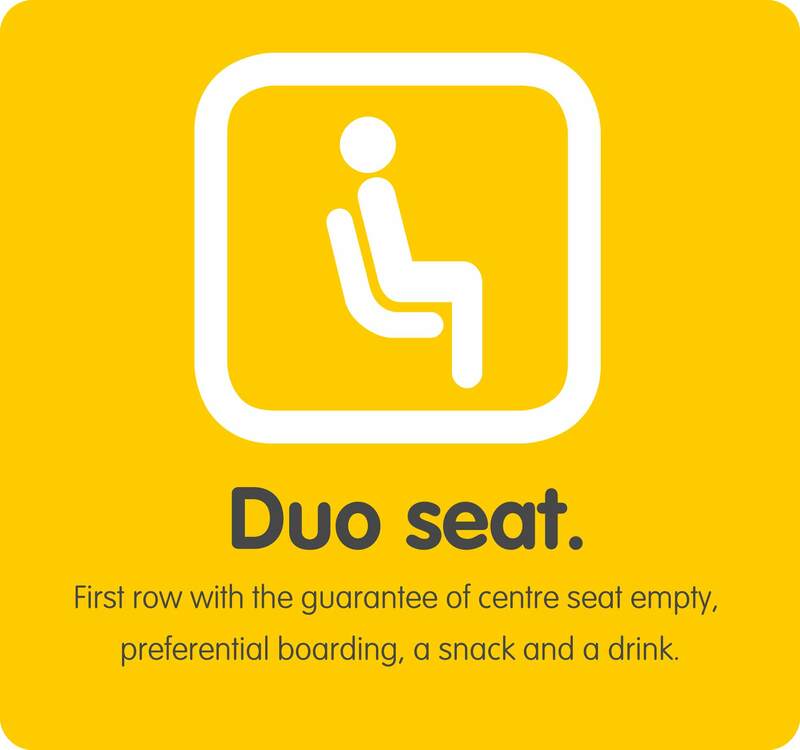 Spanish budget airline Vueling is to enhance its offering to business travellers with its new Duo seat secured in the front row and complimentary snacks and drinks on board. The Duo product is very limited on what is on offer. 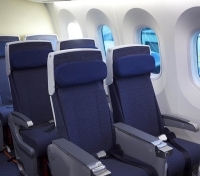 Just four seats per flight on the airline's Airbus A320. However it does enable a passenger to enjoy much more space at all times. Another advantage is the lack of the need to rush on board to secure space for your hand luggage. This is guaranteed and reserved for you. However if you are very tall you can buy a seat by the emergency exit about halfway down the plane.